Retirement is often a nightmare for many people. While some don’t plan at all, others from the beginning, were never realistic about their plans. In the case of yet another group, they made good plans but did not stick to the plans. As for the most unfortunate group of all, they started planning late. For most Nigerians however, they are not even sure what their retirement will be like. They just hope that it will be good. Some have not calculated how much they will need in retirement, which is the crucial factor that determines what should be saved for that time. A knowledge of what you’ll need in retirement as compared to what you make while in service enables you to make alternative plans if you can’t save enough from your income for retirement. There is also this mistaken notion that you can only start saving or planning for retirement when you are forty and above, a falsehood that has left many in poverty at their old age. 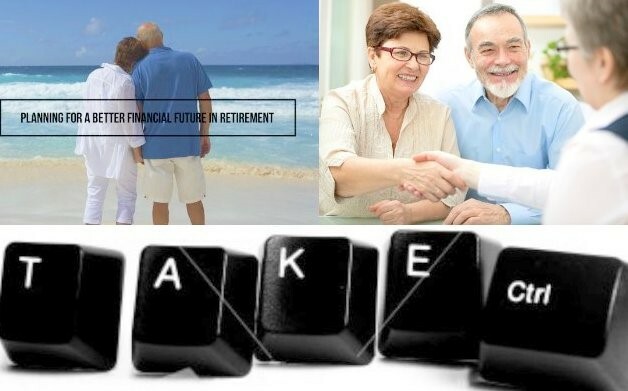 Below are a number of mistakes people make while planning for retirement. People do not start thinking or saving for retirement until it is almost too late. That is why some people struggle with poverty later in life, even if they were very rich. Some relax and think that their children are their retirement fund and then refuse to plan properly. Experts have noted that it is important to start saving as soon as possible. Start now as you do not have to wait until you are in your 30s or 40s. People need to understand that retirement does not only mean old age, but that it includes having something to lean back on if, for instance one suddenly loses an arm or a leg and is unable to continue working. People have failed to realise that savings alone will never be enough to guarantee a good life. Your retirement saving’s plan will require a different vehicle to drive it. Saving is not the only option and will not do the magic you imagine. However, a well planned retirement will take you where you want to be at the end while still spending good time with friends and family and pursuing your dreams. You make your savings work while you plan your retirement by investing in real estate for rental purposes. You can also look for where there is a supply gap and learn skills needed to fill those gaps. Most Nigerians are not sure what their retirement will be like. They just hope that it will be good. It is a sad fact that most people don’t start thinking of saving until it is almost too late. Savings alone will not always guarantee a good life in the long run. People need to invest too. Once there is an increase in income, increase savings. It is always a good idea to consult a professional before deciding on a retirement plan since it is the right plans and goals that will help you save for retirement. Not having a plan, goal or target to meet, basically means not doing anything since you do not have the knowledge in the first place. Visit one of the pension fund administrators in the country and you can be sure of getting all the help you need to decide how much to put in strategy and the appropriate steps to take to reach your goal. Increasing your retirement savings when your income increases is pertinent. It is advised to even save more as you grow especially the years just before you retire.